Earnhardt Auto Centers recently launched its giant bull trailer, which is making stops all over the Valley of the Sun. 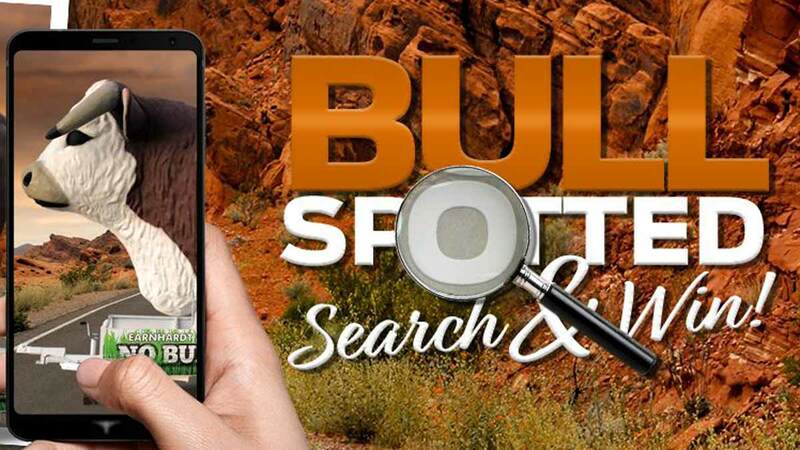 If you spot the bull trailer, take a photo and upload it to social media — Facebook or Instagram — with the #BULLSPOTTED tag for the chance to win great prizes! The bull trailer could be at one of the 21 Earnhardt Auto Centers dealerships around town, hanging by a lake, or even at an Arizona Diamondbacks game at Chase Field. Keep your eyes peeled and your camera ready! Check social media for clues to the bull trailer’s location. Hints will be posted on Facebook @EarnhardtAutoCenters and on Instagram @EAC_Nobull during the week leading up to the sighting day. When you see the bull trailer, upload your photo to Instagram or Facebook with the hashtag #BullSpotted for your chance to win prizes. The first prize will be a Nintendo Switch! Entries will be accepted for the entire sighting day. Winner will be chosen at random, and the winner will be announced on social media within the first five weekdays after the sighting day. Winners must follow Earnhardt Auto Centers on the social media platform where they submit photos. Now for the fine print and safety stuff: Please don’t upload photos to social media while driving. Only photos taken at the designated sighting locations will be accepted for the contest. This contest is open to all ages. Keep an eye out for the bull trailer, and if you find him, include with your post a suggested name for the bull trailer! Use #BullSpotted for your chance to win a Nintendo Switch! While you’re on the lookout for the bull trailer, don’t forget to visit your local Earnhardt Auto Centers dealership for “No Bull” deals on new and used cars and trucks, and also for service and maintenance. As Tex Earnhardt himself says, if you don’t try them, you both lose money!